The Hot Rats can also provide a punchy bass driven, rock fiddle sound for a Barn Dance and with Doug Hudson’s relaxed, but much polished delivery of the instructions, makes for an excellent solution to weddings, family parties and of course, perfect for corporate entertainment. 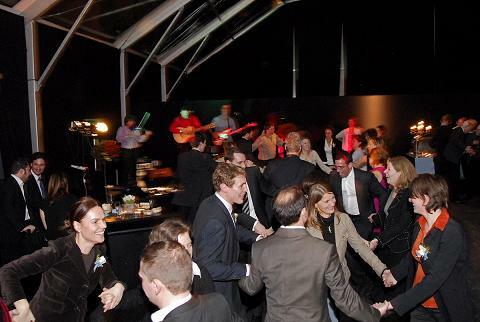 A Hot Rats Barn Dance is not a stuffy affair, in fact if you get it wrong it doesn’t matter and adds flavour to your event, especially if someone has caught it on camera ! Compact BOSE sound system and lights can also be provided. View a You Tube clip of the band below. "...... a barn dance is the most brilliant way to party"
"Well, what a 50th Wedding Anniversary party we had, thanks to you. The calling and playing for the barn dance were excellent and what fun it was, the more we went wrong the more we all laughed. Excellent, certainly a barn dance is the most brilliant way to party, as it gets all the guests mingling just as we remembered when we attended barn dances years ago. Also we would like to thank you for giving order to the evening, liaising with us then announcing what was about to take place. Many thanks, we have already passed on your details to an enquirer and would not hesitate to recommend your band to anyone meed entertainment. Happy playing to you and "Hot Rats"
"....... You are all amazing guys!" A very belated, but huge, thank you, for being part of one of the best days of our lives! Thank you for playing your fantastic music and all you did towards making our day so memorable. You are all amazing guys! If we don't see you before, we will hopefully see you in Oostende next May. P.S. We have some fabulous photos of you in our album! P.P.S. All our guests loved you! P.P.P.S. Thank you for the CD." "........ 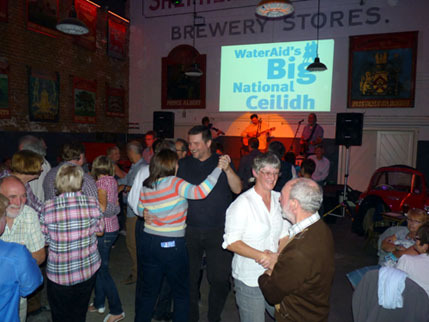 The ceilidh was definitely the highlight of the evening’s entertainment for me." 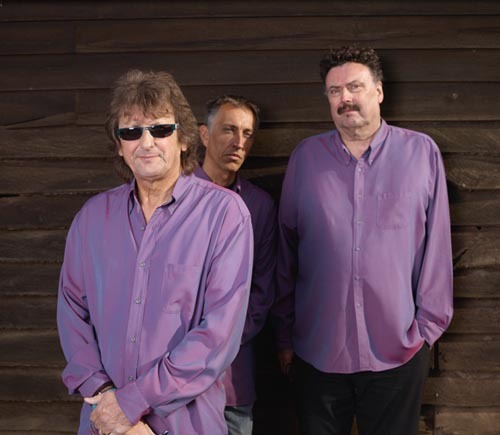 "I have known and booked the Hot Rats for this festival for more years than I care to remember. You would travel a long way to find a more charismatic person than Doug Hudson if he is going to call the dances. As musicians they are super, with of course the great fiddle playing of Ian Cutler, widely thought to be in the top rank of folk fiddlers in the country. To be honest, you have probably picked the best band around for a fun event. I recommend them wholeheartedly – they are utterly professional, great company ......... Kim Headley Artistic Director, Broadstairs Folk Week "
easy, warm professionalism at our wedding. we had a wonderful reception and the ceilidh really made it. in recommending them to anyone wanting a live ceilidh band.